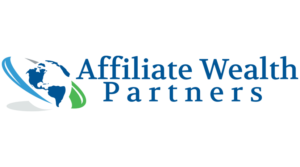 Affiliate Wealth Partners – Where Product Owners and Affiliates Meet, There Success Stories Are Born. In Affiliate Wealth Partners Make That Magic Happen. Where Product Owners and Affiliates Meet, There Success Stories Are Born. In Affiliate Wealth Partners Make That Magic Happen. Where Product Owners and Affiliates Meet, There Success Stories Are Born. Affiliate Wealth Partners Will Make That Magic Happen. Does Your Product Need Some Boost On Sales or Maybe New Market Areas, Outside of Your Own Reach? Let Us Know About Your Product And We Will Get Back To You! Is Your Quality Traffic Source Ready For New Products To Promote and Generate New Income Streams? Let Us Know Your Niche Expertises And We Will Get Back To You! We Are Happy To Hear From You and To Be Able To Start Boosting Your Business!